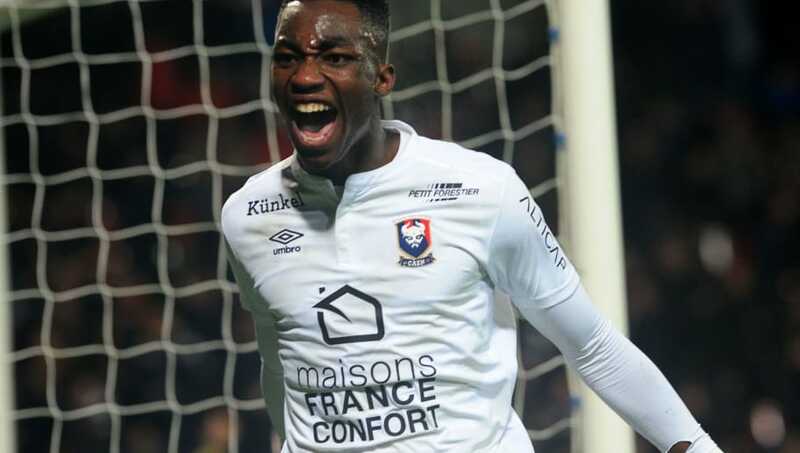 Inter Milan have secured the highly-rated ​Yann Karamoh from Caen on a two-year loan deal - with an obligation to buy - following an impressive Ligue 1 campaign which saw the 19-year-old net five goals in 35 appearances. The 19-year-old striker received interest from a plethora of Premier League clubs over the summer but opted to join Inter, who were in the market for a new forward following the departure of Gabriel Barbosa. Karamoh's contract at Caen was due to expire next summer but he signed a new deal with the club before completing his move to Inter, which the youngster was obviously was thrilled about. "I’m very happy to have joined Inter," he told Inter Channel, via ​Football Italia. "My inspiration is Neymar, he's my favourite player. I've chosen number 17. Forza Inter! “I hope to help the team achieve their objectives. We want to win the Scudetto. “For me it is a great opportunity. There are great players here and I’ve already seen ability in the first few games of the season. “My features? I’m quick and good at dribbling and changing pace. As for San Siro, I hope to adapt to it quickly. It’ll be a strange feeling because I often saw it on TV as a kid, hosting so many big games with so many great players. However, the 19-year-old's agent - Oscar Damiani - revealed it was a relief to get the deal over the line as Caen's stance made it hard to negotiate a move away to Inter this summer. Damiani said: “Caen are a difficult club to negotiate with, they've sold good players in the past. “It wasn't easy, but Piero Ausilio and Walter Sabatini were determined to get him and there was his conviction to come here, despite the fact a lot of teams wanted him. “He'll be a great signing for the Nerazzurri. Tomorrow he'll be at Appian Gentile to get to know the directors and the coaches," he added.